As one of the world's foremost master transformational trainers and an award winning creative powerhouse, Joel Martin, PhD is a dynamic personality and resource that people watch and emulate to be successful in their personal lives and businesses. A Keynote Speaker and authority on women's empowerment, transformational leadership, team building and diversity, she is an energetic presenter who inspires people to be their positively powerful selves, take actions based on their vision, mission and purpose, to live their dreams and to handle challenges with persistence, courage and excellence. For more than 25 years, she's studied and practiced leadership and team building, working with hundreds of thousands of women and men across the U.S. and globally translating theory into practical applications and experiential education that leads to results, breakthroughs and fulfillment. She skillfully weaves in elements of her story to bring this to life. She was raised financially disadvantaged by loving single Mother, in elementary school she was considered dumb, a stigma that followed her to college and yet she broke through these experiences to become a creative powerhouse. Joel was one of America’s first women to own and operate a full-service advertising agency. As a new mom, she grew her agency to national prominence, an award-winning staff and $ millions in billing serving Fortune 500, small businesses, media giants and nonprofit clients. With her leadership, her agency invented a new malt beverage for Anheuser-Busch, introduced new products, researched, produced PR campaigns and gave back to the community. It was in those years that she met her husband Bob who continues to be her partner today. She closed her ad agency to follow her dream to make a bigger difference with human beings directly as a speaker, coach, trainer and author. Dr. Joel Martin is President of Triad West Inc. Coaching Training & Speaking and a Master Transformational Trainer delivering presentations across the U.S. and internationally in China, Taiwan, United Kingdom, Republic of South Africa, Malaysia, France, Russia, Finland, and Latvia. She is the author of "How To Be A Positively Power Person" and "MBA: Me Brand Awareness" on personal branding as well as a book of poetry "Getting There And Back" which she wrote after her recovery from breast cancer. She is the founder of the Positively Powerful Woman Awards. The mission of this annual event is to empower all people to live their dreams by celebrating the accomplishments of women leaders. This is its 9th year and she will be honoring its 50th woman leader. "We are all positively powerful!" is her uplifting and celebratory message. Dr. Joel Martin continues to learn, grow, share and make a difference just as she advises her audiences to do. A visionary, she imagines how the world would be if everyone lived their dream and does all that she can to make this possible. She is active on social media where she has many followers on Facebook, Twitter, and her blog site. She has earned a BA in Education, Masters in Psychology, PhD in Communication and became a Wharton Fellow of the Wharton Business School. She serves on the Corporate Board of ABHOW, a nonprofit leader in homes and services for the aging and was previously on the Human Relations Commission City of Scottsdale. 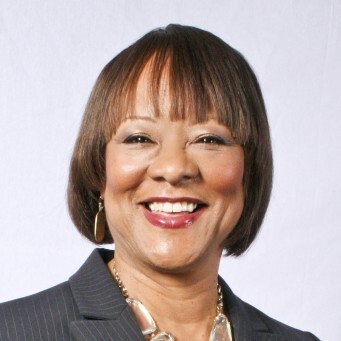 Dr. Martin has received many awards; appeared on the Today Show and ABC Channel 15, in the NY Times, Essence, Black Enterprise, and Fortune; and presented before Fortune 500, nonprofit and entrepreneurial audiences as well as on the stage of her own Positively Powerful Woman Awards and the annual PowerNetworking Conferences. An energetic and engaging speaker, an expert in providing women with tools to be positively powerful when facing their challenges, Joel skillfully weaves facts and tactics with her unique blend of authentic story telling to provide new ways of thinking, strength and inspiration. Consider Dr. Joel Martin for your keynotes, presentations, panel discussions, and retreats. With her engaging smile and insightful listening, joy and authenticity she advocates for equality and equity and is driven by her desire to change the world for the better. Her transformational simulations shift audiences from feeling burdened by events to freely chosing them. Teams experience her leadership alignment strategies and increase their ability to foster win-win attitudes and interest based negotiation. Her diversity and inclusion expertise brings people of all nationalities, races and cultures together. Her 25+ years of experience, MA in Psych and PhD in Communications guide people to a deeper understanding of each other, culturally sensitive communications and awareness of how micro-inequities can be disruptive and what to do about them. As a result, she makes for a happier workplace and audience. How To Transform Your Life – Now! Leaders’ Speaker Training: Get Ready! Get Set! Go, Be Real! Dr. Joel Martin was born in New York City and grew up in Toledo, Ohio. She was named for her grandmother Josephine and mother's sister Eloise. Raised by a hard working mother and family, her ethics and love of people, service to others and integrity are in her DNA. She is a breast cancer survivor who calls herself a conqueror. Her husband Bob is an artist and their daughter Cybel is a cinematographer. She currently lives in Scottsdale, AZ. Find out more about Dr. Joel P. Martin (JOEL) at http://www.positivelypowerful.com.